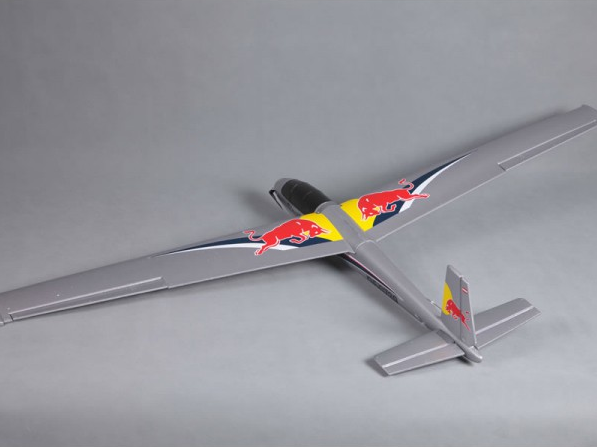 The Red Bull L-13 Blanik is a semi-scale replica of the so famous austrian Red Bull Blanik, well known for his spectacular aerobatics flights and synchronized flight patrols. 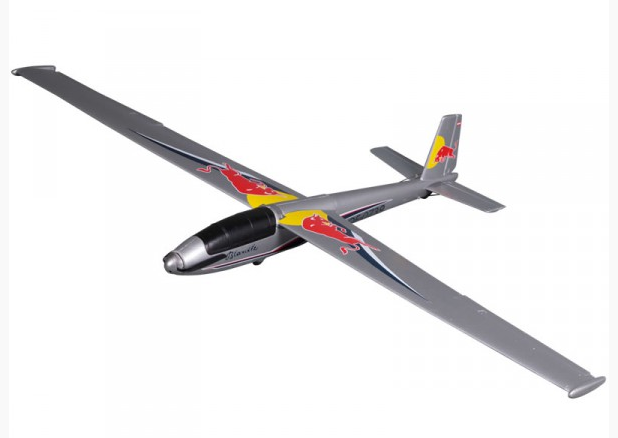 The design offer very good gliding performances and a wide speed range, so it may take advantage of small thermals and fly from thermal to an other with ease. It offers very easy flight characteristics. With his sleek shape, you will have a lot of fun for a so low price. 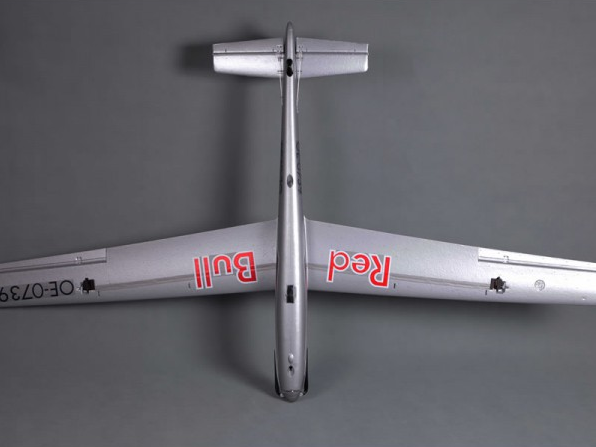 The sailplane is molded in a durable and robust EPO foam, it is pre-assembled and a electo-motor inside allow to take altitude when the weather is not ideal for gliding. The cooperation between Flying Bulls and Staufenbiel is the key of succes for this project, and the result is this splendid repllica of the famous Blanik L-13. 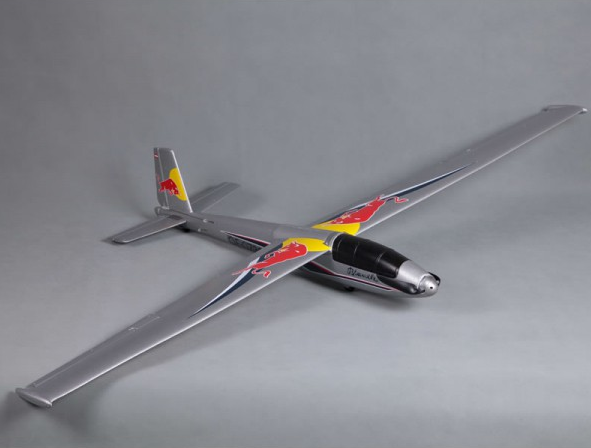 This RC model is made of a hight density EPO foam. This very durable foam supports small damages and can be repaired using CA. This model is delivered with the brushless motor set installed. 4 servos and hinges are also installed. The final assembly need a very short time in a few steps. 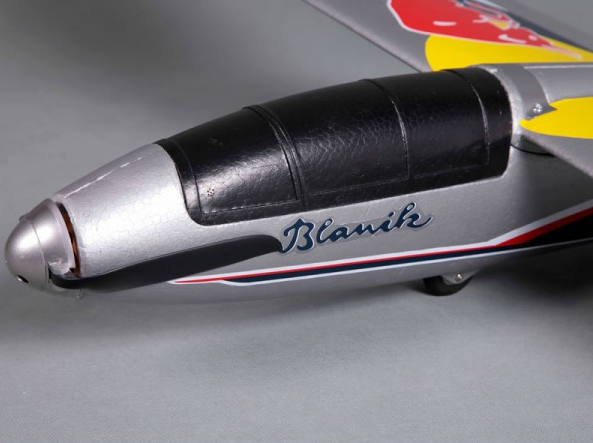 The mode is painted with the Red Bull trim sheme.